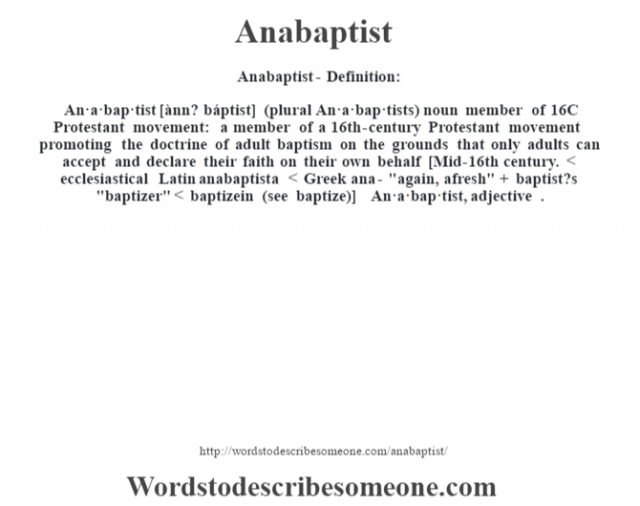 An·a·bap·tist [ànn? báptist] (plural An·a·bap·tists) noun member of 16C Protestant movement: a member of a 16th-century Protestant movement promoting the doctrine of adult baptism on the grounds that only adults can accept and declare their faith on their own behalf [Mid-16th century. 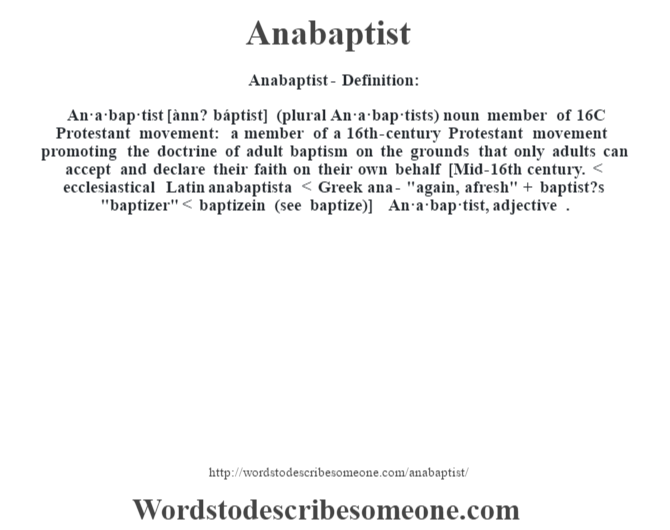 < ecclesiastical Latin anabaptista < Greek ana- "again, afresh" + baptist?s "baptizer" < baptizein (see baptize)] -An·a·bap·tist, adjective .